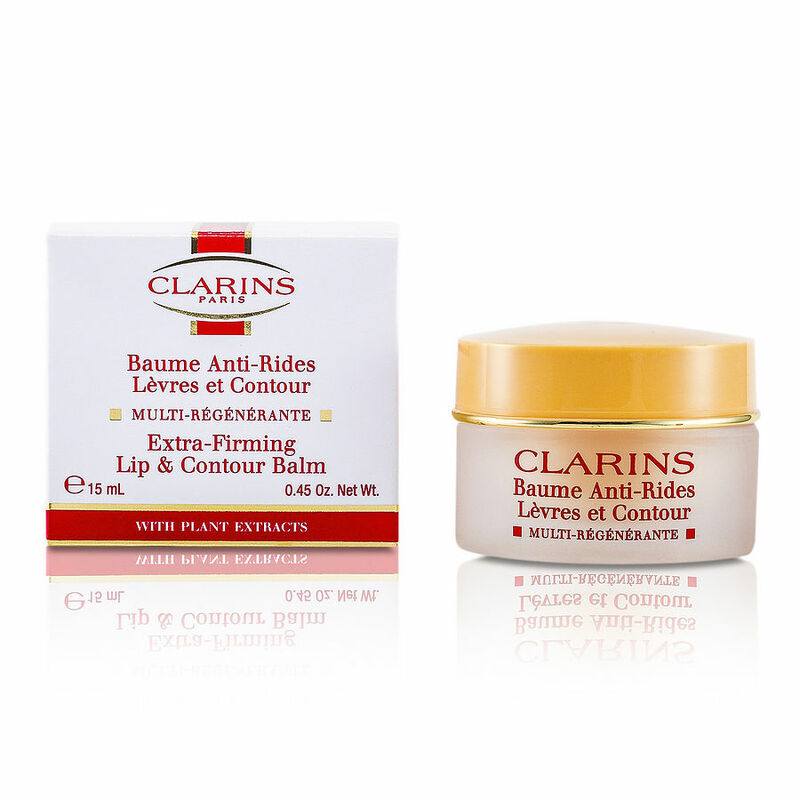 Clarins Extra-Firming Lip & Contour Balm I was introduced to this product by my sister who was a regional cosmetics manager at a major high-end department store. Noticing fine lines beginning to form around my upper lip, I asked her what she would suggest. Use of this product removed the lines within a week or so. I was amazed and sold! So I have used it for over 20 years but due to illness in recent years, have not kept up my use the past five or so years. Now 65 (tomorrow! ), I recently noticed fine lines around my upper lip and instantly recalled how well this worked for me. Delighted to find it on this website for such a great price, I am ordering it today as well as the firming cream for the neck.